Posted February 18th, 2018 by Mike Boyes & filed under Development of the Self, Intergroup Relations, Social Psychology, The Self. Description: There is an increasing large research literature on Sports Psychology in generally and on Olympic performance in particular. I have posted about parts of this research work previously in this blog (http://wileypsychologyupdates.ca/?s=Olympics). The British Psychological Society has suggested in the posting linked below that it would be interesting to consider what the winter Olympics mean to us individually (that is also Psychology!). The Olympics are not regular occurrences. They twig thoughts of national identity and international connectedness and competitiveness. The Olympics present sports activities that could be considered a part of who we are (especially the Winter Olympics for Canadians). So, think for a minute…..What do the Winter Olympics mean to you? Once you have reflected on this question have a read through the postings linked below and see what else they may bring to mind. 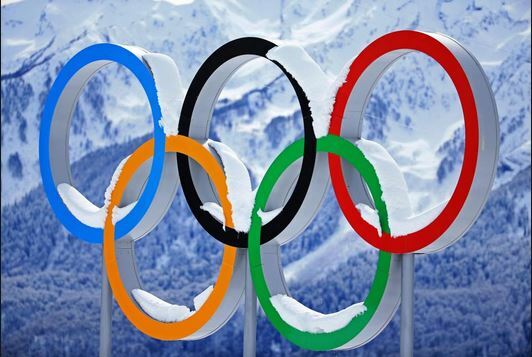 Source: What does the Winter Olympics mean to you? Paul Gorczynski, The Psychologist, The British Psychological Society. Photo Credit: Getty Images, The Sun, UK. For me the Winter Olympics are a place and time where Canadian athletes get to content at things that are very close to the Canadian heart ,… like hockey (even if the NHL kept their players playing here in North American instead of allowing them to go to Korea). I get to watch our athletes content on snow and ice, where, like it or not, we are at home for a (this year what feels like a LARGE) number of months. I most like seeing sports we do not typically get to see, like “big air” boarding and skiing, skeleton, luge and bobsledding and that weird event that involves skiing fast and shooting (OK maybe that is nor Nordic that Canadian). At the same time that I contemplate the parts of my identity as a Canadian that the Winter Olympics tweaks I am fascinated by the number of warm climate countries with representation at the Winter Games (Togo, Eritrea, and Nigeria, oh and Jamaica, of course). I have not reached any clear conclusions about what the Winter Olympics means to me in relation to my identity but, at least, they provide something entertaining and diversionary to watch and engage with as the cold winter February winds and snows blow. What are some ways in which large international sporting events like the Winter Olympics might increase or feed into our reflections about personal, cultural, and national identity? What is your favourite Winter Olympic sport? What do you think that might suggest about you? If the Olympics are in any way “good for us” (psychologically speaking) what might we do to optimize this “goodness”? Hill, D. M., Hanton, S., Matthews, N., & Fleming, S. (2010). Choking in sport: A review. International Review of Sport and Exercise Psychology, 3(1), 24-39.